Late on a weekend night, I have not had my dinner yet and just wanted something simple to fill my stomach. Chanced upon Sanpoutei Ramen at the basement of Shaw House outside Isetan Scotts Supermarket, and decided to give it a try. 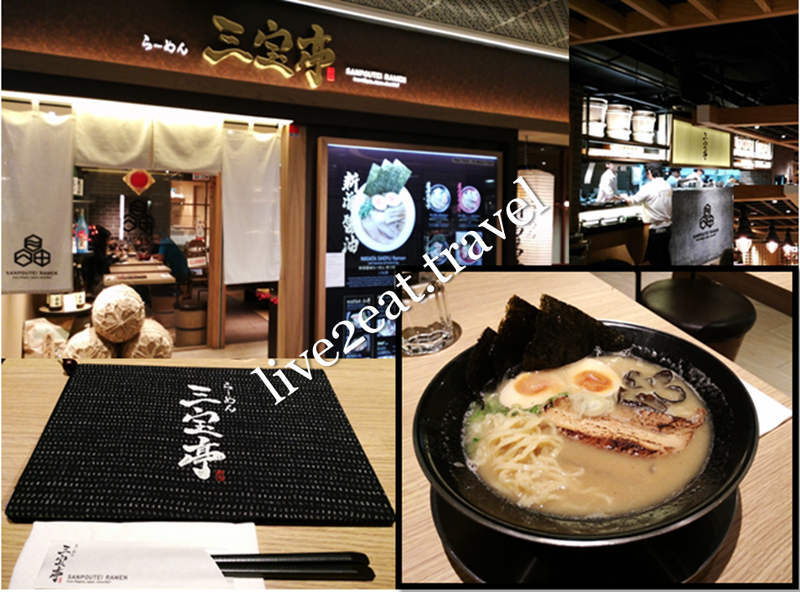 Known for its Shoyu ramen that originates from Niigata since 1967, this is its 2nd branch after Holland Village. Lots of wood could be seen in its interior design, no different from the usual Japanese restaurants. While Tsukemen is also offered here, I did not order that and went for W Soup Tonkotsu Ramen with flavoured soft-boiled egg instead. Could smell a nice aroma as the specially customised double-walled bowl was placed in front of me, something atypical of ramen. The collagen-rich soup carefully simmered for 12 hours was creamy rich yet mild textured, probably because it was blended with tori soup. Freshly made using in shop noodle making machine, the ramen looked like curly version of local mee pok with a taste reminiscent of hokkien mee from zi char stall. Springy and having either absorbed or adsorbed the soup, it was good enough to be eaten on its own. There was a smoky taste in the aburi or torched chashu – tender meat well-balanced by melt-in-the-mouth fats though the health-conscious might find it too fat and oily with burnt parts. Could neither rave about the dried seaweed and black fungus nor fault the perfectly soft-boiled egg, which was not as flavourful as that from Shin-Sapporo Ramen.